the dentistry specialty offers outpatients a complete dental treatment plan providing a full range of routine and emergency dental and orthodontic procedures are available in our outpatient department as well as specialized treatments requiring an inpatient stay. the dermatology specialty provides up to date diagnosis and treatment of disease and problems of the skin, hair and nails. the dietary specialty concentrates on prevention of disease in the form of nutritional therapy guidance and education based on best practice research. our registered dietitian provides suitable and appropriate dietary advice on nutrition and eating plans developed specifically for each individual patient’s health and social requirements. the 24/7 emergency department has a designated triage system and team, staffed with emergency medicine and general practitioner physicians to deal with emergency situations to ensure the timeliest and best possible treatment for patients. the ent, head & neck specialty offers outpatient, emergency and inpatient services. fully equipped with latest microscopes, endoscopes and powered instrumentation, the physicians are well prepared to perform a range of elective or emergency surgeries. the specialty treatments include diagnosing and managing diseases of the sinuses, larynx (voice box), oral cavity, and upper pharynx (mouth and throat), as well as structures of the neck and face. micro-ear surgery for infections and hearing loss. the department is supported by a comprehensive audiology lab. the general & bariatric surgery specialty uses the latest technology in diagnostic equipment. it also has a dedicated colon and anorectal clinic. the neurology specialty comprises examination, diagnoses and appropriate treatment for patients with neurological disorders. with innovative and advanced treatment options, we provide the most comprehensive care close to home. the neurosurgery specialty provides diagnosis and surgical treatment for disorders of the central and peripheral nervous system including congenital anomalies, trauma, vascular disorders, infections of the brain or spine, stroke, or degenerative diseases of the spine. the obstetrics and gynecology specialty is responsible for female health care including gynecological health check-ups, diagnosis and treatment of gynecological disorders and comprehensive management of normal and low risk pregnancy. including antenatal checkup and assessment of fetal well-being as well as ctg monitoring of baby before & during delivery we have dedicated labor ward staff available 24/7 for natural birth & caesarian section. we have a pain management modality for pregnant woman in labor involving nitrous gas and epidural anesthesia. the orthopedic specialty uses the most advanced surgical procedures and implants safely and effectively. the consultant orthopedic surgeons perform all major and minor surgical operations. the department provides management and care for conditions involving fractures of the bones and joints, sports injuries, hand and tendon injuries, diseases of the bones and joints and back and spine problems. the department has an expertise in arthroscopic surgery, deformity correction and major joint replacements. we are also able to offer the expertise of our team of international visiting surgeons who bring additional expertise to the community of doha. doha clinic hospital rehabilitation team provides a service for all patients with musculoskeletal conditions (orthopedic, spine and muscular), neurological conditions (stroke, nerve damage), cardiovascular and respiratory conditions, sports related injuries, pre and post-operative rehabilitation. we can assist patients from pediatric and geriatric ages. conditions are treated with various electro therapeutic and thermal modalities, physical therapeutic exercises, manual/mechanical therapy, postural and balance training modalities, and education of assistive devices. treatments help with to pain relief, swelling, improve movement, restore muscle strength, reduce disability and increase functional capability of the individual to enable him to regain function and improve quality life. the physiotherapy facility has affordable therapeutic rooms and equipped with two gyms. the rheumatology specialty manages health conditions affecting the joints, tendons, ligaments, soft tissues, and muscles. our rheumatologist works on more than 150 different types of rheumatic diseases, also referred to as musculoskeletal diseases. this also means that rheumatic disorders are some of the most prevalent health issues in the world. arthritis - this is one of the most common kinds of rheumatic disorders that involve the inflammation of the joint. under it are psoriatic arthritis (which accompanies the skin condition called psoriasis), osteoarthritis (which is characterized by the destruction of the bones and cartilage), and juvenile idiopathic arthritis (which appears during childhood). arthritis can also be caused by an infection, in which case it is called infectious arthritis. fibromyalgia –this health issue has a broad definition. it often refers to rheumatic disease accompanied by chronic fatigue and muscle stiffness, which makes it difficult for the patient to perform regular activities, including getting out of bed. lupus – there are two different kinds of lupus, the more severe of which is systemic lupus erythematosus (sle). in lupus, the body’s own immune system attacks the connective tissues, joints, and tendons. at least 100,000 people are diagnosed with this condition. 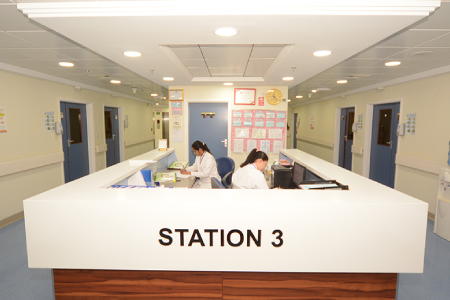 Doha Clinic Hospital Laboratory provides a consultant led clinical diagnostic services. The lab services outpatient, emergency patients and Inpatients 7 days a week. The Outpatient hours are from 6am - 11pm Saturdays to Thursdays ,2pm - 9pm on Fridays. Inpatient and Emergency Laboratory is available 24/7. The Lab is operated according to the laboratory standards of ISO:15189 and is accredited by Accreditation Canada (Platinum Level). Medical Laboratory services available include Clinical Chemistry, Hematology, Coagulation, Immunology, Hormones Assessment, Allergy tests, Clinical Microscopy, Microbiology, Pre-Employment and Pre-marital checkup services and Medical Commission examination for Residence Permit. The Lab is supported with the most advanced technology and medical diagnostic equipment. Lab Staff are highly educated and experienced with link to referral lab in Germany, Saudi and Hamad Hospital for a selection of highly complex testing performed outside Qatar. The Imaging Department supports all medical services with the most up to date imaging technology. Elective Services are available to all outpatients and Emergency Services 24/7. To support our doctors with the most accurate diagnosis of nerve and muscle related ailments. Doha Clinic Hospital is equipped with advanced Electroencephalogram (EEG) & Electromyography (EMG) technology to ensure correct and clear investigations. DCH has an exclusive Vaccination unit which provides a variety of vaccines, serving all medical departments for both pediatric and adult cases.